The main aim of the Road Safety Team is to contribute to reducing road traffic casualties in Middlesbrough. The team works with all sections of the community, and in partnership with many other agencies such as Cleveland Police and Cleveland Fire Brigade. We believe in education and encouragement as well as engineering and enforcement. Our role is to provide resources and expertise in education, training and publicity. Education - We plan and deliver lessons to pupils in both primary and secondary schools across the town covering a wide range of road safety-related topics. We also provide educational resources, information and advice to the general public on all aspects of road safety. Training - We provide a variety of training courses ranging from child pedestrian training and Bikeability cycle training to pre-driver education and in-car safety training for health professionals. Publicity - We plan and deliver most of our publicity and promotional work using a data-led approach which allows us to target those groups most at risk. We also work in partnership with Road Safety GB North East on regional road safety campaigns. 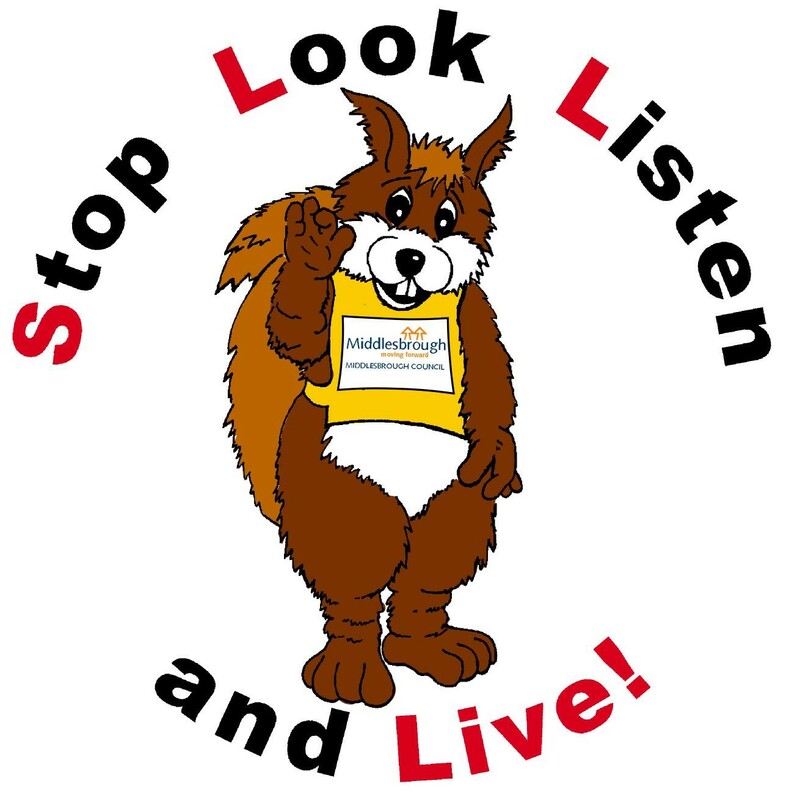 We attend local galas, fun days, community events etc., and have a road safety mascot called Safety Squirrel, who regularly makes appearances at events and in primary school assemblies. An extensive range of leaflets and publicity material are available on request. Visit THINK! for more information and resources on road safety.